Breeders rate the Ancona as a great egg layer producing five to seven large, white eggs a week. Anconas like the outdoors and will lay longer into the winter months then most breeds without artificial lighting. 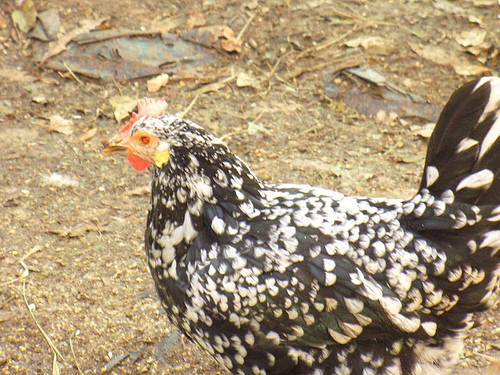 An active, medium-sized chicken, the Ancona likes to forage much and brood little. Their closely configured feathers gives them an unusual tolerance to cold weather. Anconas will tolerate confinement but prefer the run over the coop. They like to fly so build accordingly. Some classify the active Ancona as unfriendly. However, handled early and often they will bond with humans as well as any breed. Left alone they will exercise their free-spirited nature. 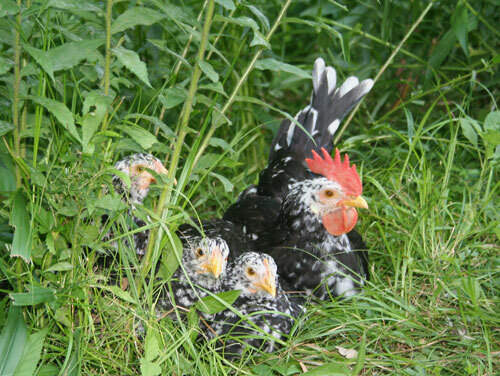 Their foraging diet, active nature, and lack of broodiness make them the perfect breed for laying. An alert and rangy temperament equips the Ancona well for survival against predators. 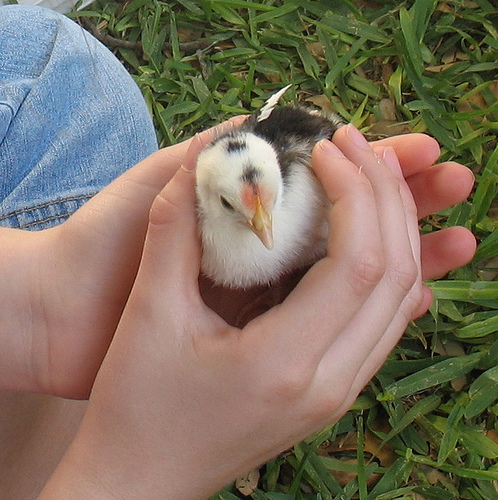 Chicks mature early with low mortality rates. Anaconas have a shiny black plumage tipped with white speckles which grow larger and whiter with age. White ear lobes stand in stark contrast to their bright red wattles and combs of single or rose configuration. Male Anconas with single combs sport the five upright points often seen in a child’s drawing of a chicken. Females have one erect point followed by four drooping. 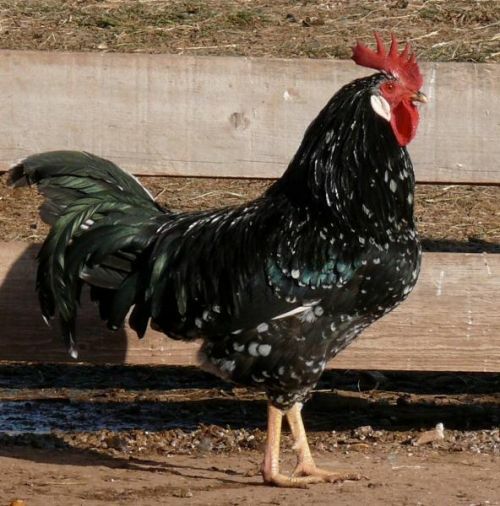 They have matching yellow beaks and legs without feathers similar to the white leghorn also imported from Italy. 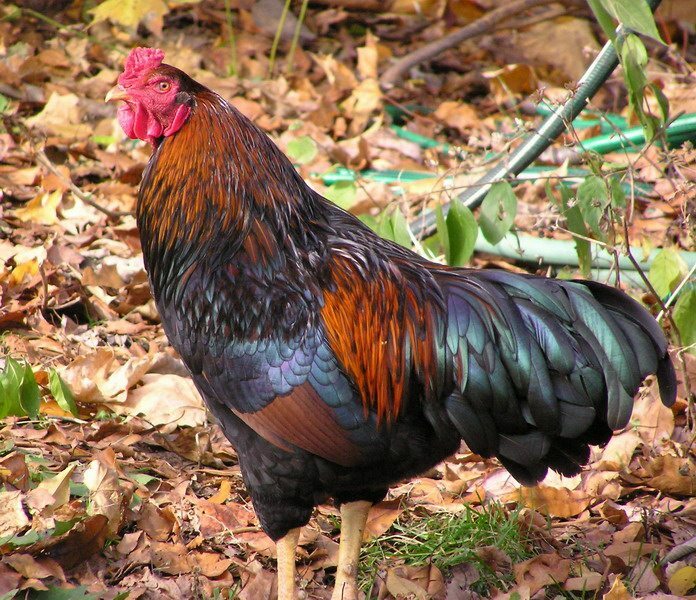 The original Ancona fowl from Italy had reds, browns, or copper tones appearing around the neck hackles. Copper tone hues occasionally tinge the hackles of the modern-day Ancona. Anconas like to roam. Its dark plumage provides protection from predators. Ancona like their freedom. Build a coop that gives them more space than alloted for other breeds and a run which gives them plenty of room to roam. They have sturdy wings for flight. Build high fences. They tolerate cold better than most breeds. You will still need a draft and moisture free coop with good insulation for the coldest days. 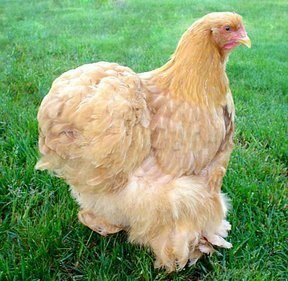 Some breeders choose to follow the natural progression of the seasons by withholding artificial light, thereby, allowing their layers to moult in the darker winter months. Anconas lay longer into the winter months than most breeds. They would fit nicely with the lifestyle of a naturalist chicken farmer. However, as with all breeds artificial light added in the morning will extend and expand egg production. Anconas originally come from the port city of Anocona, Italy. They traveled to Britain for the Great Exposition in 1851. In 1888 the British started exporting Anconas to America. During World War I and II Ancona flocks provided most of the world’s supply of eggs. Hybrid egg layers have since replaced the Ancona; however, they still have a prominent place in backyard coops. One of the oldest breeds in the world, breeders can readily find Anconas in the old country of Italy. However, they have lost popularity in America and will prove difficult to find here.